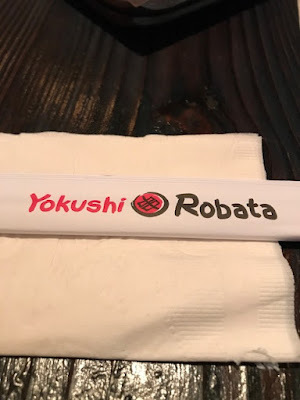 We like to come to Yokushi Robata, just because it's quick and good food right before a movie. Seating is casual, and everything is made to order. 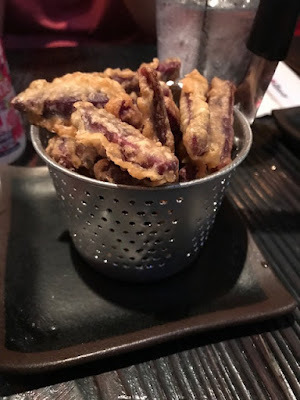 Loving their Purple Yam Fries, for some reason, it feels lighter than the regular Sweet Potato Fries, I can eat these all day long. 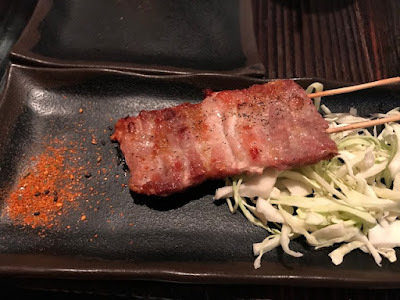 Got the skewer for Pork Belly. It's so good and not too greasy or fatty. This is my Japanese comfort food, curry rice with fried chicken cutlet. 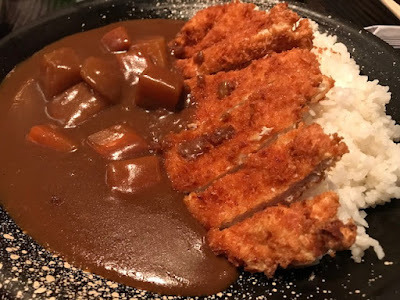 My main thing is the curry, I love the Japanese sweet curry. The only thing missing is potato chunks to be mixed in there, that'll make my day. For a cold day, that is the warm dish to my belly.